Those who are deluded by the master deceiver’s lies do not believe the truth. Which is sad–because Satan’s many followers will still bear the eternal consequences of that truth, whether they believe it or not. The most telling difference between Satan and Jesus was declared by Jesus Himself. The difference between Jesus Christ and Satan? Satan offers fleeting, temporary earthly power and wealth, while lying about EVERYTHING. Jesus Christ offers permanent, everlasting salvation from the eternal torments of the wicked, which is according to the unchanging truth of God’s Word. Still, man is wicked, lost and deceived. And so man usually chooses Satan’s trinkets and Mardi Gras beads over the eternal life offered by Jesus Christ. The free, unfettered offer of life more abundant is for ALL who forsake Satan, throw themselves on the mercy of God Almighty and His Son, Jesus Christ, and enter the kingdom of heaven. 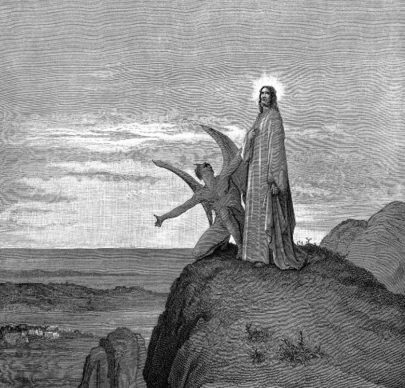 DOES the reader believe that Satan is merely a “misunderstood being who has been slandered by the Bible“? DOES the reader believe that Satan is the REAL hero and that God Almighty is merely an underachieving spiritual being who is jealous of Satan?